Today it is difficult to imagine that the area between Rio Verde and Rio Guadaiza was once agricultural land where oranges and sugarcane grew. Nowadays it is one of the most prestigious areas on the Costa del Sol, a valley comprising of countless high-end developments, luxurious hotels, various Golf courses, and last but not least Puerto Banús – one of the most privileged marinas in the Mediterranean. Yachts, high end cars, luxury stores and multi-million mansions are its most distinctive features, attracting millionaires, celebrities and tourists from all over the world since its grand opening in 1970. The unique vision of the investor José Banús Masdeu became reality and Puerto Banús and its surroundings is now a bustling tourist center attracting millions of tourists every year, with its population tripling each summer. During the 60’s and 70’s, many golf courses were built along the Costa del Sol and that attracted developers who spotted great potential in the area. Construction began at the start of the 80’s on one of the most emblematic and luxurious residential complexes in Puerto Banús. Constructed over 20 years, resulting in two unique luxury residences by the same developer and located right next to each other: Playas del Duque and Las Gaviotas. Marbella Unique Properties are happy to present both complexes in further detail. 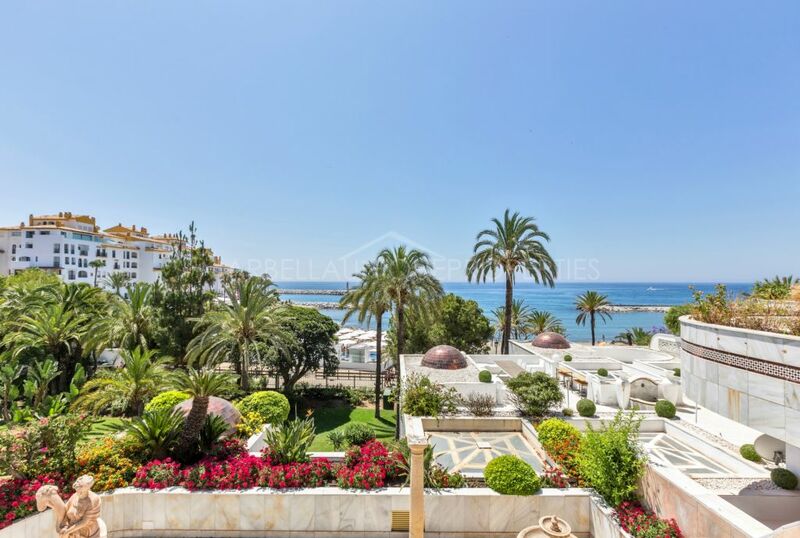 This development with breathtaking views to the sea and extensive award winning gardens, is situated west of the main entrance to the Marina Puerto Banús, between Avenue “José Banús” and Avenue “Lola Flores”. The architectural design of Playas del Duque reflects the local and traditional style (vernacular architecture) with the implementation of some contrasts between the plastered white facades and the sloping roofs with old Arabic tile, as well as the use of natural brick in lattices and cornices forming traditional drawings and finished with decorative arches, pergolas and other elements. The development is spread out, with a total surface area of 150.000 m2 and consists of 5 independent blocks surrounding 30.000 m2 of beautiful tropical gardens. The communal areas boast 3 swimming pools, 2 restaurants and private access to the beach. Each individual block was built in a different phase, and named according the provinces of Andalucía: Málaga, Sevilla, Córdoba, Granada and Cádiz. Cádiz, the first finished building is set right above the Ocean Club, the former social club. 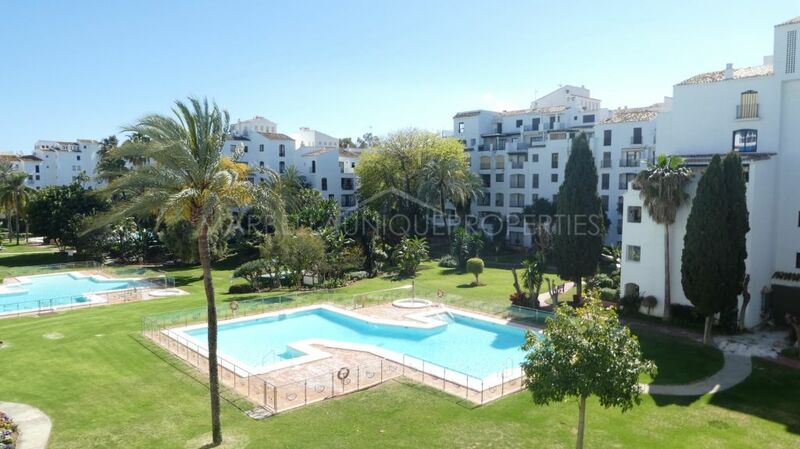 Sevilla, located right in front of the beach boasting the best sea views. 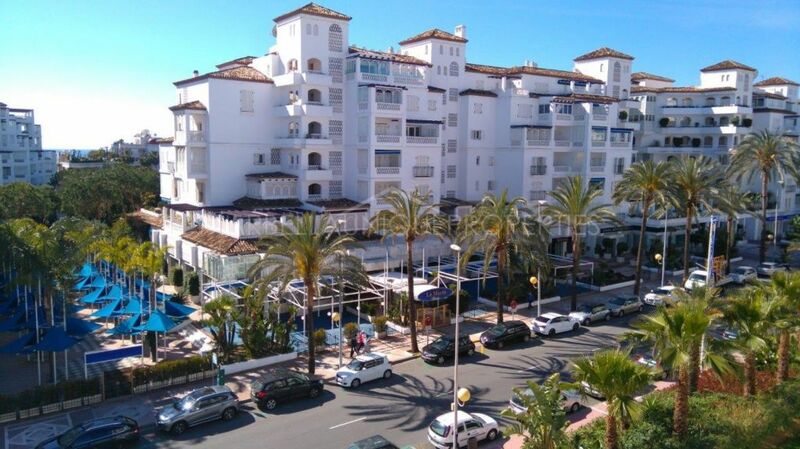 Málaga, the largest and the newest building of the Playas del Duque complex consists of 2 phases, one facing the garden and the Mediterranean Sea, the other Avenue of José Banús, the main avenue which leads to the entrance of the marina of Puerto Banús. The residential complex boasts spacious and bright apartments of 1,2,3 and 4 bedrooms including penthouses offering maximum functionality and comfort. All apartments feature marble floors, fitted wardrobes and air conditioning throughout. Each apartment comes with an underground parking space and storage room. The Playas del Duque development provides 24 hours security and a concierge service who are on hand to assist the clients every need. Glow, one of the most elegant and exclusive fitness clubs in the Marbella area, is located within the complex. Its club members can enjoy 2.500 m2 of amazing facilities such as fitness and activities rooms, indoor cycling room, heated and salt-water swimming pool, spa and café. Street level of Playas del Duque boasts a variety of shops and services such as supermarket, pharmacy, interior design shops, flower shop, wine shop, hairdresser, medical center, esthetics clinics, art gallery etc… which is very convenient for the residents. Playas del Duque is strategically located only a few minutes walking from Puerto Banús beach clubs – Ocean Club, Plaza Beach and Sala Beach. It is also walking distance to all the cafés, bars, restaurants, luxurious boutiques of the marina and the center; the department store El Corte Inglés, the shopping mall Marina Banús, and the cinema. 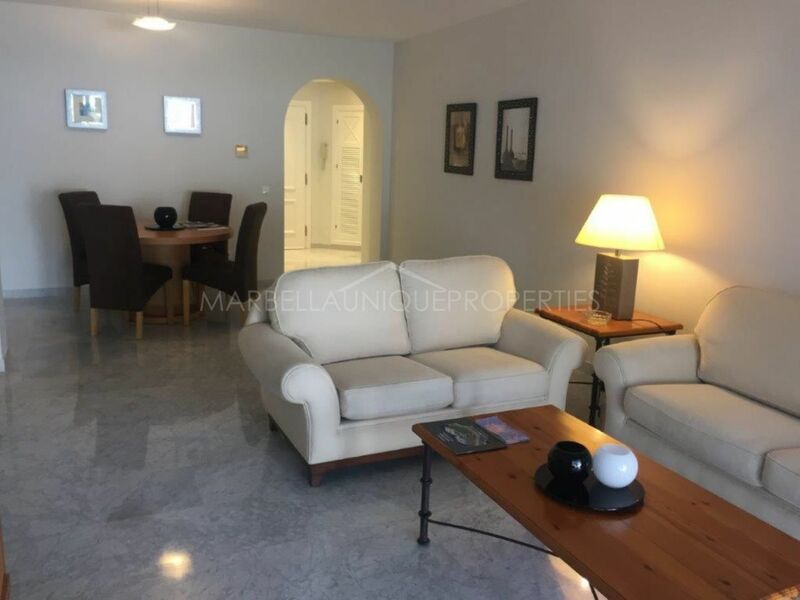 This prestigious residential complex consists of two phases III and IV and is situated right across from Playas del Duque on Avenue Playas del Duque. The complex comprises of 15.000m2 of beautiful gardens with 3 swimming pools and enjoys a 24 hour security and concierge service, with all types of professional services. Apartments are spacious and bright and boast spectacular terraces. Playas de Duque apartment sizes range from 150 to 400 m2 and prices vary from 850.000 to 2.750.000€. Las Gaviotas, square meters range from 100 m2 to 260 m2 and the prices from 664.000 to 1.450.000€. Marbella Unique Properties office is located right in the center of Puerto Banús and we are happy to assist you with all your Puerto Banus property needs.